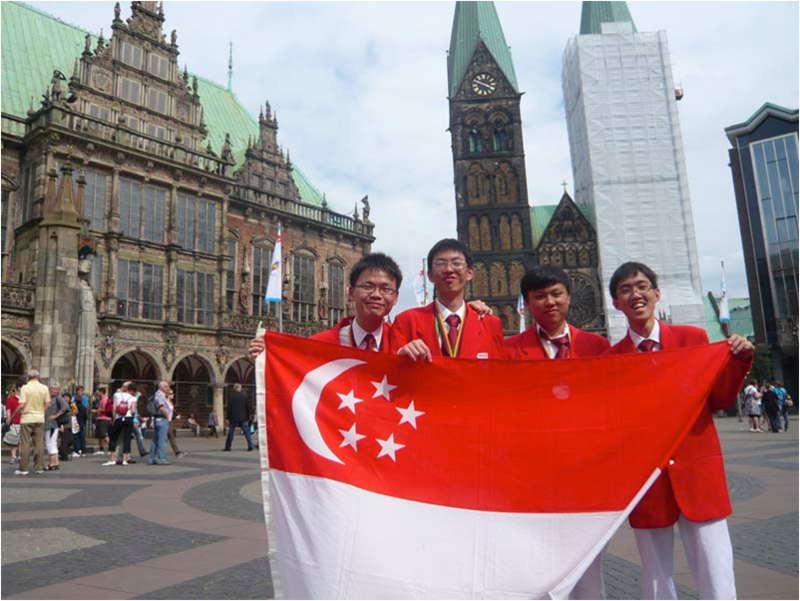 3 of our students – Ivan Loh Yao Chen (10SO6S), Vincent Brian Arifin Tjeng (10SO6O) and Lee You Jun (4J) – led by Mr Lu Shang-Yi and Mr Thomas Teo, both teachers at RI, represented Singapore in the 2010 China Mathematics Olympiad, held at Chongqing, China from 20th to 25th January 2010. It was Singapore’s maiden participation in this competition, and our students have performed well in this competition. 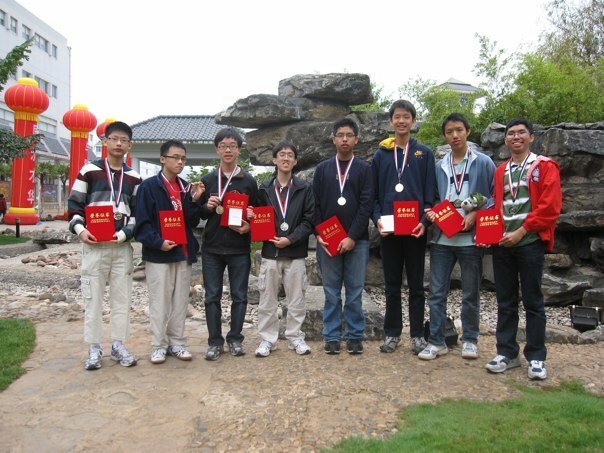 Other competitors included students from each province in China who were invited to this competition to select the 2010 China Mathematics Olympiad training team. 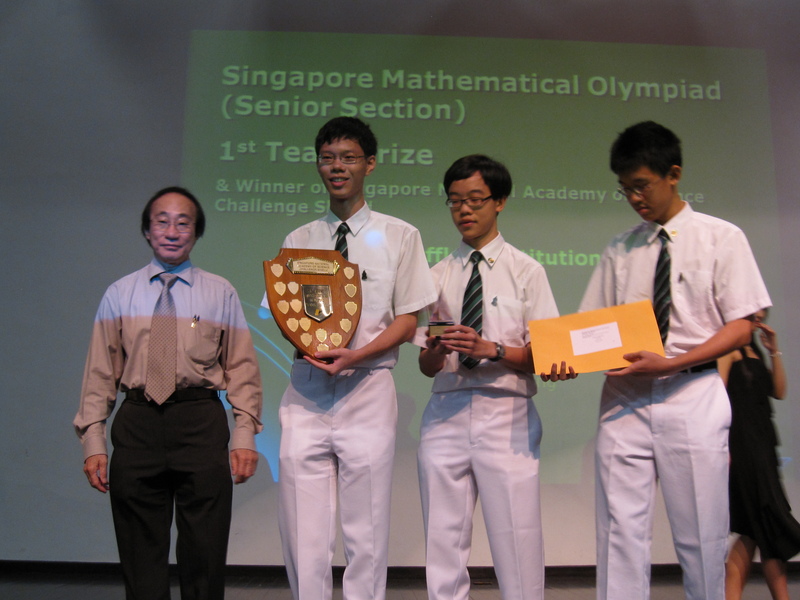 Ivan Loh was awarded the silver medal while Vincent Tjeng and Lee You Jun were awarded the bronze medal. Raffles Institution congratulates our students on their performance. 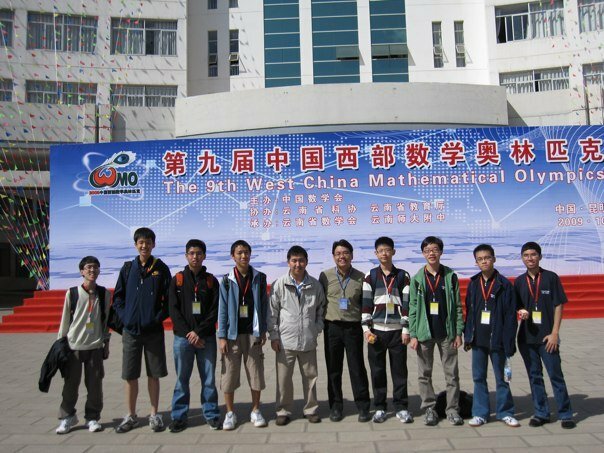 The 9th China Western Mathematical Olympiad (CWMO 2009) was held in Kunming, Yunnan from 27th October to 1st November 2009. 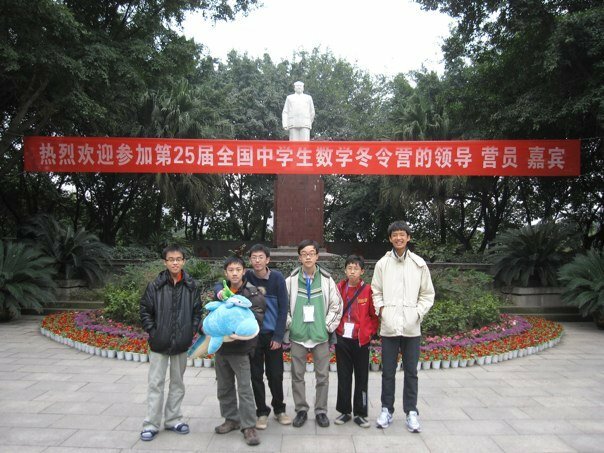 Their teacher, Mr. Lu Shang-Yi, accompanied them. A total of 110 students from 26 teams took part in this competition, including students from provinces of Western China as well as Hong Kong, Kazakhstan, Romania, Philippines, as well as Singapore. The team performed very well, obtaining a total of 2 golds and 6 silvers, representing our best-ever haul since our participation in this competition. In addition, we are unofficially ranked 2nd, losing by a combined score of only 12 points, to team winners Sichuan province, who were also the winners last year. The two gold medalists were RI’s Vincent Brian Arifin Tjeng and Lee You Jun, who tied at the 7th position. Barry Tng Jia Hao and Joseph Kuan Jun Jie were jointly-placed at the 15th spot, and received the silver awards. 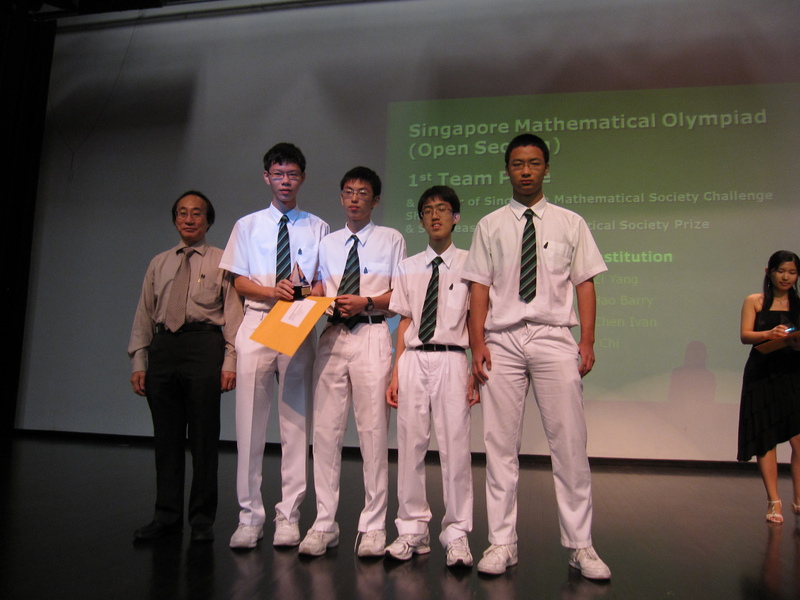 4 of the 6 representatives were Rafflesians. Chiam Jia-Han (09S06H) and Loh Yao Chen Ivan (10S06S) were awarded the Silver medals, while Low Tian Wen Daniel (09S06M) won the Bronze medal. Tng Jia Hao Barry (10S06P) received an Honourable Mention. Congratulations!